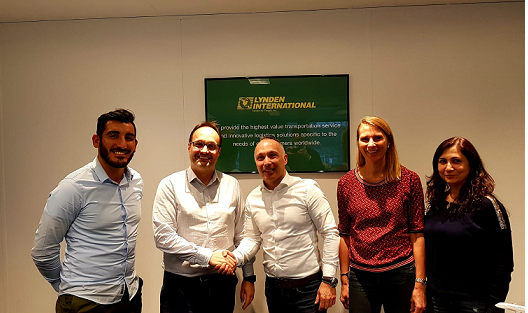 As per the first of January 2019, Lynden International BE has joined the CargoHub Platform. Lynden now utilizes the compliance modules to safeguard their quality processes while aiming for IATA CEIV certification and assure their product integrity. We welcome Lynden International BE to our platform and look forward to support their high standards on CEIV and compliance requirements. Lynden began with a clear mission: put the customer first, deliver quality, and be the best at what you do. Today, our mission remains the same. We believe that complex transportation problems can be solved in the hands of the right people, with the right tools and the right experience. Over land, on water, in the air – or in any combination – Lynden helps customers get the job done in challenging areas such as Alaska, Western Canada and Russia, or anywhere in the world we are needed. We have built a reputation of superior service to diverse industries including oil and gas, seafood, mining, construction, retail and manufacturing. Lynden is a family of transportation companies with the combined capabilities of truckload and less-than-truckload transportation, scheduled and charter barges, intermodal bulk chemical hauls, scheduled and chartered air freighters, domestic and international forwarding and customs services, sanitary bulk commodities hauling, and multi-modal logistics. Our family of companies delivers a total freight transportation package. Our employees deliver quality service while putting the customer first and doing their best every day. That’s not only our mission; it’s the Lynden way of doing business. The CargoHub platform is designed to help maintain the industry standards through various modules for companies to easily and efficiently manage incidents, inventorize and asses risks, audits and control procedures and documentation. Companies are offered the framework, tools and support to comply with the industry specific requirements. AEO customs related processes , ISO 9001:2015 , CEIV and Cargo Claims Loss prevention next to other processes can be managed within one platform.